Goodbye, meatpackers; hello, museum-goers. 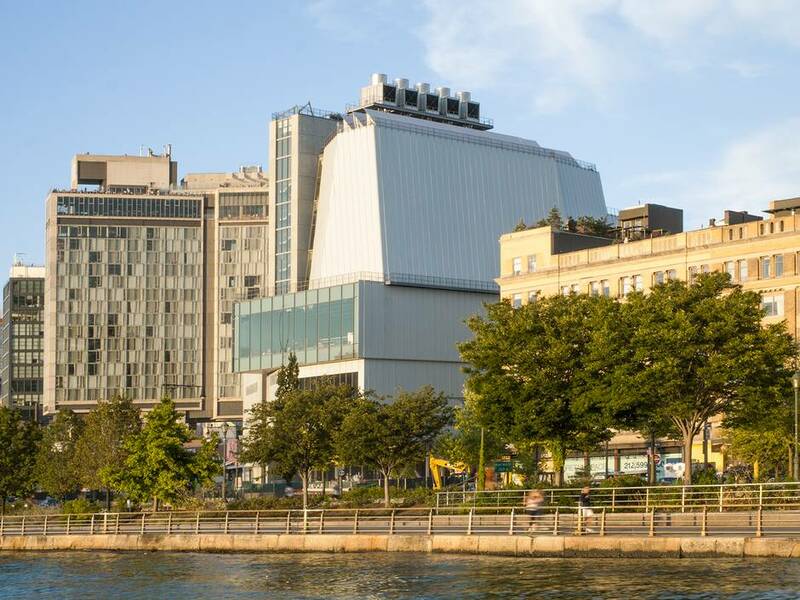 The Whitney Museum of American Art opened its new home in New York this week, in what’s still known as the Meatpacking District; and the building, by the Italian architect Renzo Piano, offers some nods to the blue-collar businesses that lie in its shadow. The museum is an ungainly machine, clad in glass and enamelled steel but bristling with ducts and cooling shafts. Yet, it is what the future looks like. This area has transformed into a tourism and culture district, defined by the elevated High Line park as it snakes through Chelsea, the hub of the global art market. This spot represents, like perhaps no other place in the world, the sort of smoke-free, moneyed energy to which cities now aspire, with art as the engine. This is all by design. 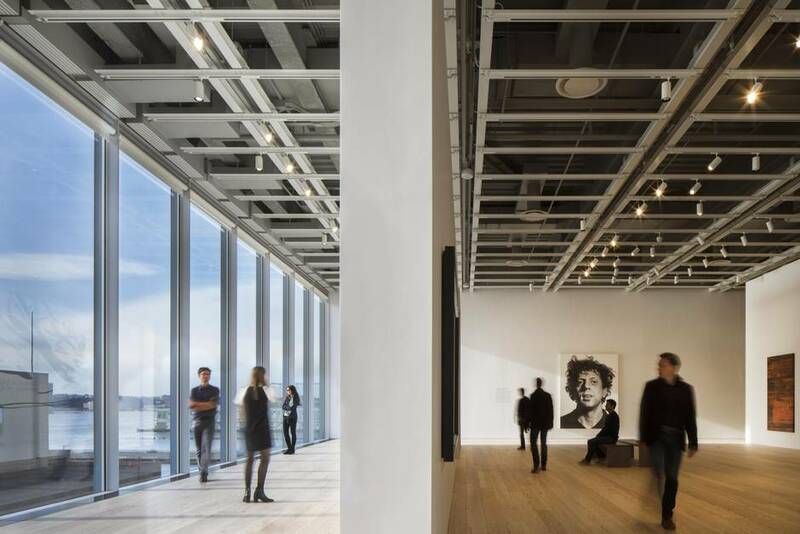 The Whitney, one of Manhattan’s four major art museums, was lured here from tony Madison Avenue by the city, which offered a site at the end of the High Line and the chance to show off more of its collection. That it does, in a 220,000-square-foot building that dramatically increases its exhibition space with four spectacular, terraced, clear-span gallery floors. Yet the $422-million (U.S.) building is confounding: an odd amalgam of art, money, steel and style. Introducing the museum to a mob of journalists last week, the septuagenarian Piano spoke of the museum as serving the “freedom” of art and also the streetscape. “The building, on the east side, talks to the city,” he said. Its restaurant and lobby, which sit prominently next to the High Line, appear as an extension of the sidewalk – the stone of the floor goes up to the municipal concrete, with just a diaphanous glass wall in between. The idea was to create what Piano calls a largo, a narrow piazza. In this context, on a tight 19th-century street where cars have been tamed, it works beautifully. It represents, in fact, a European idea of public institution fused with the public realm, including exhibition space in the lobby that won’t require a ticket. The contrast to the museum’s previous home couldn’t be much clearer. To enter its remarkable 1966 building by Marcel Breuer, an upside-down pyramid in grey granite, you had to walk a bridge across a moat. In those days, many museums felt the need to fortify themselves against the threats of the city; in the safe, clean and moneyed metropolis of 2015, that idea seems quaint. So, too, do the current museum’s elements of vent-stack kitsch, which the institution argues will help keep things loose, evoking the tough industrial city that made space and inspiration for so many artists. The building “is, in equal measure, rough and refined,” museum director Adam Weinberg said. 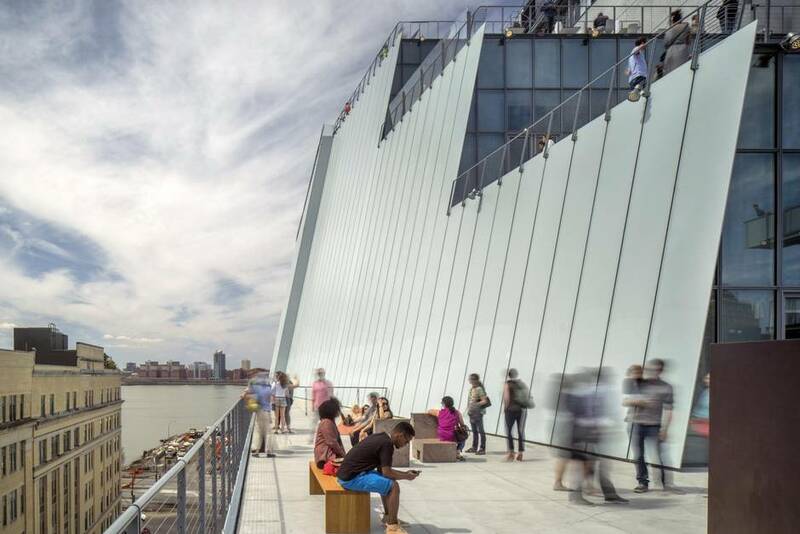 The new building will vastly increase the Whitney’s exhibition and programming space. Well, no. In fact, in the 1980s Piano moved quickly away from High-Tech; he became America’s, and perhaps the world’s, favourite museum architect for his clarity and subtlety. At the Menil Collection (1986) in Houston, he began a string of projects that established his pre-eminence. His galleries articulate small details of structure and envelope – in particular highly engineered roof systems, which carefully modulate natural light. Piano’s father and grandfather were builders; not for nothing is his office called Renzo Piano Building Workshop. At the Whitney, this precision is in evidence on the interior of the museum, which has none of the clumsiness of the exterior. The floors are knotty reclaimed white pine, with a light stain – designed, the museum says, to be easy for artists to nail into or remove. And yet the walls meet the floor with a precise, tiny gap, a detail architects call a “reveal” and that requires extraordinary workmanship. This is what $422-million of “rough” looks like. A rooftop terrace offers gorgeous views of Manhattan’s Meatpacking District. The main gallery spaces are all column-free; the building was framed with 4,000 tons of steel to allow that spatial luxury. Some of the beams are exposed in the galleries, painted white; “We didn’t do any design specifically on them,” Elisabetta Trezzani, the project architect for RPBW, told me. A good place to start is at the top, on the eighth floor: You can move from the tall galleries, caressed with north light from clerestory windows, through a café out to a grand terrace. Three levels of steel-enclosed terraces serve as exhibition space for sculpture; I walked down from here on the outside, overlooking the city and the High Line, and ran my fingers across the plaster-smooth concrete on the façade. Down on the seventh-floor terrace, I found a constructed stainless-steel sculpture by David Smith, Lectern Sentinel, standing guard as it leaned out toward the city. Then, just inside the glass doors: a Barnett Newman, its deep reds and oranges shimmering in the smooth light. Next door, a Franz Kline. But everything in the room was dwarfed by what I saw when I turned around – a large, magnificent, bittersweet canvas by Lee Krasner called The Seasons. The museum is clad in glass and enamelled steel but bristling with ducts and cooling shafts. The pride of place given Krasner hints at the Whitney’s curatorial approach, what curator Donna De Salvo calls “a conscious effort to uncover the inconvenient complexities of American art.” In the initial show, titled America Is Hard to See, works from the museum’s permanent collection fill all four gallery floors. (Temporary shows, including much contemporary work, will ultimately occupy two of them.) The show is organized into 23 sections, some predictable, others mixing periods and schools. 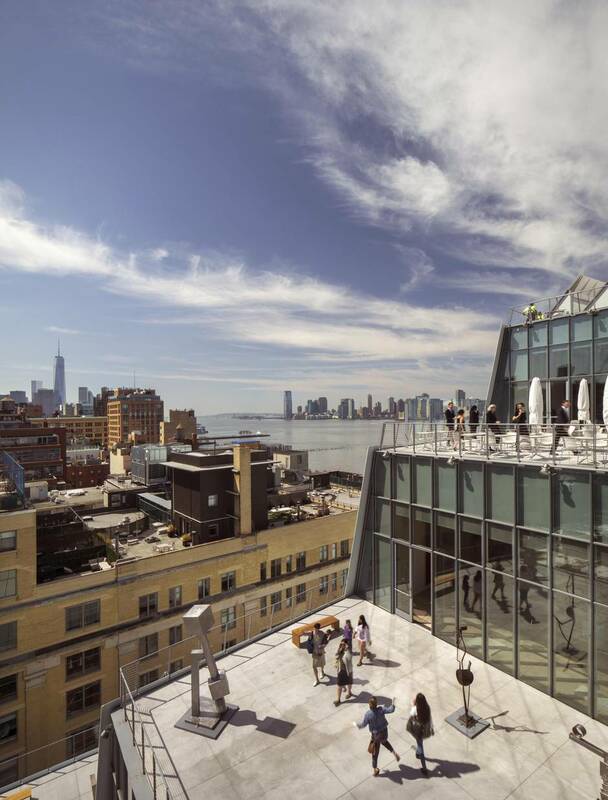 The Whitney, one of Manhattan’s four major art museums, was lured here from Madison Avenue by the city, which offered a site at the end of the High Line. But why wrap all of this in a lumpy, retro architectural envelope? Unwieldy forms are part of Piano’s late style – as seen in the poorly received recent addition to the Carpenter Center in Cambridge, Mass. But the better clue is right next door, on the High Line, which builds on the grungy beauty of its steel structure. When that park opened in 2009, I thought it would be highly influential, the emblem for a new crop of infrastructure-turned-parkland. It turned out to be much more than that. It is now, improbably, New York’s most popular tourist attraction, lined with high-end condominiums and offices by a constellation of star designers including Frank Gehry and Jean Nouvel. Now extended to 30th Street, the park mimics the wild weedscape that once occupied the empty rail tracks, but it has been designed to the inch. It’s still a spectacular experience, weaving through the city just above the streets, but to me, it now looks a bit mannered: As the grit drains away from the surrounding fabric, the replaced rail ties and scraggly shrubs start to feel less like an intervention and more like an artisanal theme park. From the new Whitney’s terraces, you can get spectacular views of the line and of the city. They have never been prettier.